Dia Mirza is an Indian actress, model and former beauty pageant. She won the 2000 Miss Asia Pacific International beauty pageant. She is best known for her work in Bollywood films, including Dus, Lage Raho Munnabhai, Honeymoon Travels Pvt. Ltd., Shootout at Lokhandwala, Krazzy 4 and Sanju. 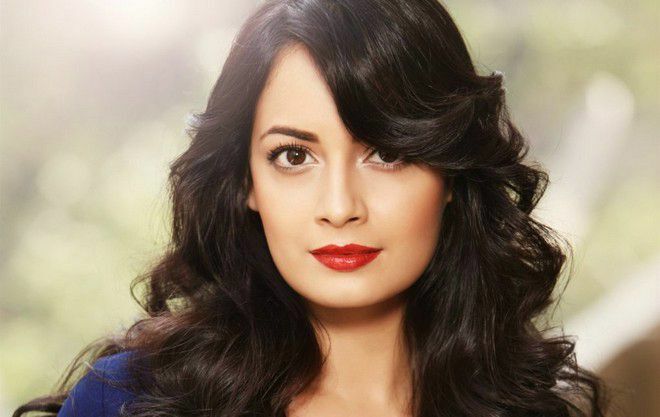 Dia Mirza was born on December 9, 1981 in Hyderabad, Andhra Pradesh, India. Her ancestry is German, Bengali and Telugu. Diya attended Vidyaranya High School in Hyderabad and completed her high school education at the Nasr School in Khairtabad, Hyderabad. She then briefly attended Stanley Junior College before enrolling at the Ambedkar Open University, Hyderabad, where she graduated with a correspondence degree in Bachelor of Arts. Dia Mirza married her longtime business partner, Sahil Sangha in a Hindu wedding on 18 October 2014 at her husband’s sprawling farmhouse in Chattarpur, Delhi. Dia Mirza won her first acting role in the Hindi film, Rehnaa Hai Terre Dil Mein, in 2001, playing the female lead as Reena Malhotra. She won several awards, including Zee Cine Awards for Best Debut, and Bollywood movie award for Best Debut Newcomer as well as received nominations for Screen Awards for Most Promising Female Newcomer. In 2016, she made her debut television appearance in the show called Ganga – The Soul of India as Herself, which aired on the Channel Living Foodz. She is noted for her roles in the movie such as Dus (2005), Lage Raho Munnabhai (2006), Honeymoon Travels Pvt. Ltd. (2007), Shootout at Lokhandwala (2007), Krazzy 4 (2008) and Sanju (2018). Dia has appeared in many TV commercials and print ads for brands such as Lipton, Wall’s ice cream, Emami and many more. Dia Mirza has a net worth of $2 million dollars. Her parents divorced when she was 4 years old. She was raised by her mother and her step-father, an Indian Muslim from Hyderabad, Ahmed Mirza. Dia worked as a part-time marketing executive at Neeraj’s Multi-media Studio, a media firm, while in college. During this time, she got interested in modeling and started doing modeling gigs. In 2000, she competed and finished second runner-up at Femina Miss India 2000. That same year, she won the Miss Asia Pacific 2000 and also won Miss Beautiful Smile, Miss Avon and Miss Close-Up Smile in Miss India. Diya was considered for the role of Bruna Abdullah in the film, I Hate Luv Stories (2010), but she turned down the offer citing she does want to be branded as a cameo/guest actor..
As a social activist, her work towards charities and environment has been greatly appreciated by the media and other organisations. In 2012, she was honored with the Green Award for her contribution towards a green environment. She is also an active member of the Cancer Patients Aid Association and adopts a few cancer patients every year. Dia Mirza was made the Environment Goodwill Ambassador for India by the UN. With this, she has joined the league of celebrities, Cate Blanchett, Anne Hathaway, Angelina Jolie, Katy Perry and Emma Watson, who have been recognized by the United Nations for their contribution to environment conservation. Dia and her husband Sahil Sangha own a production house called Born Free Entertainment.